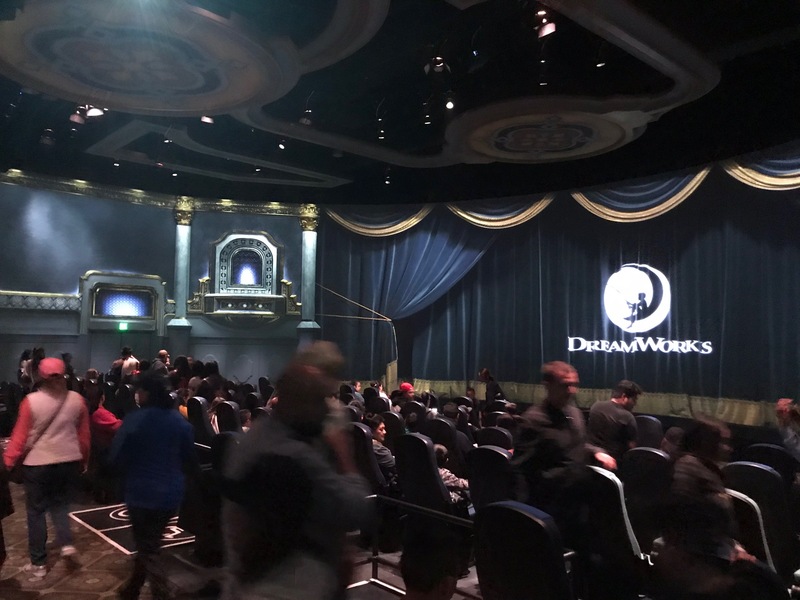 Universal Studios Hollywood is looking to bring Dreamworks to life in a big way when it premieres the all new Dreamworks Theatre on June 15th, with Kung Fu Panda: The Emperor’s Quest. 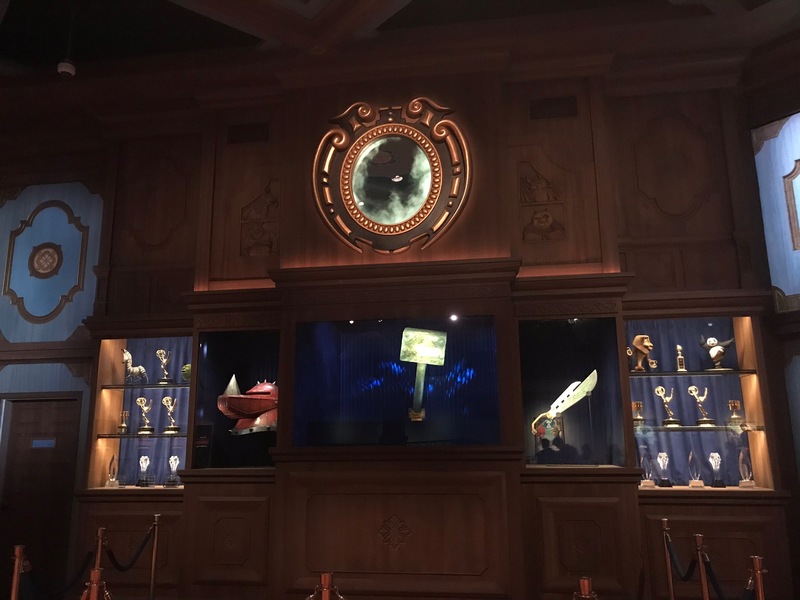 Over Memorial Day, the attraction opened for technical rehearsals for guests, and a reader sent in some shots and a first impression of the new attraction, as well as a short video. 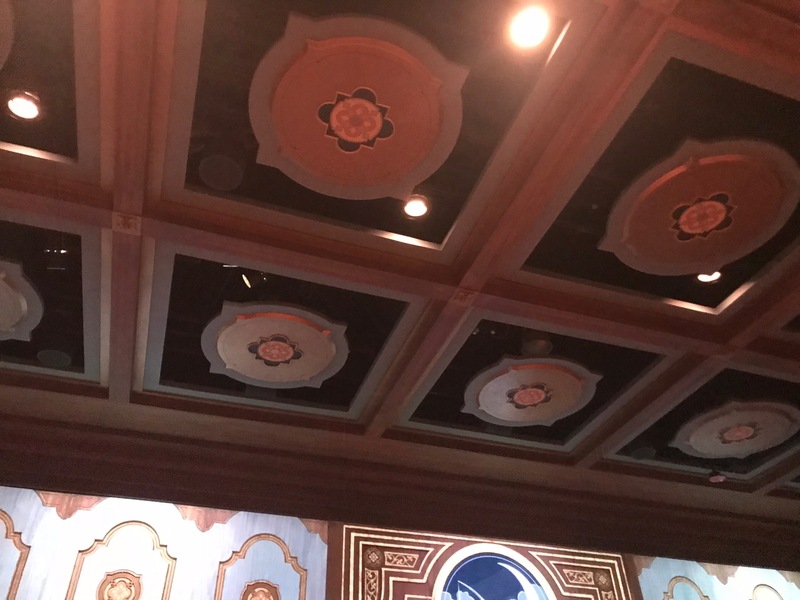 The theatre looks gorgeous, as it’s a throwback to old Hollywood. 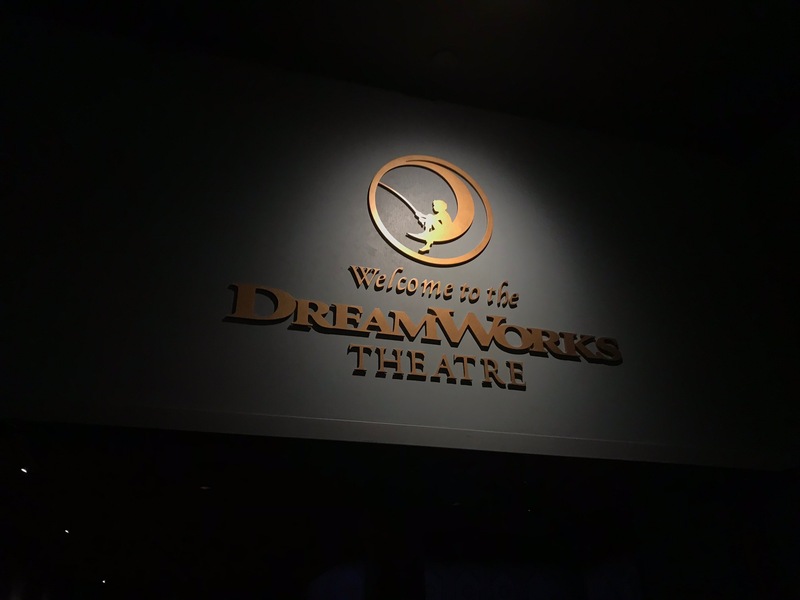 It features tons of Dreamworks characters, posters and memorabilia. The fun gets started right away with an all new preshow, which gives you a look at the fun to come and the technology the entire experience will use. 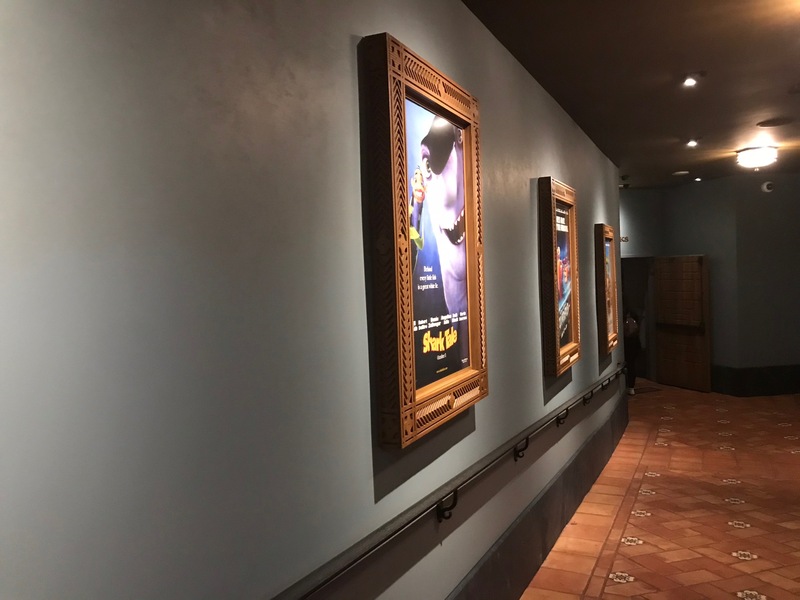 While we will have a much more in depth look at the attraction within the next few days, as well as better look at the film itself, I have to say that I’m impressed with the overall look and feel of the attraction. 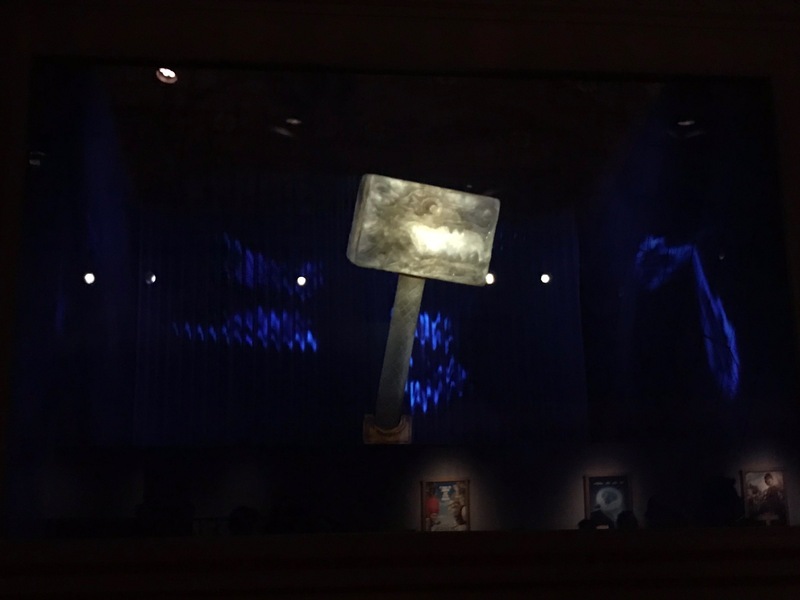 There is just about every major Dreamworks Animation character being used, and it makes it look like a transition to another film will be extremely easy. 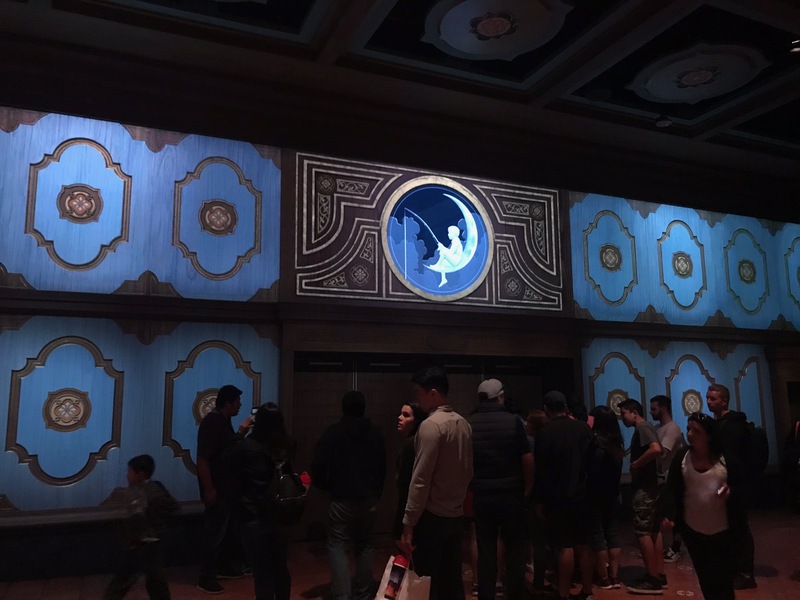 The projection work in just the preshow alone is damn convincing, and we really can’t wait to experience the 4D film. 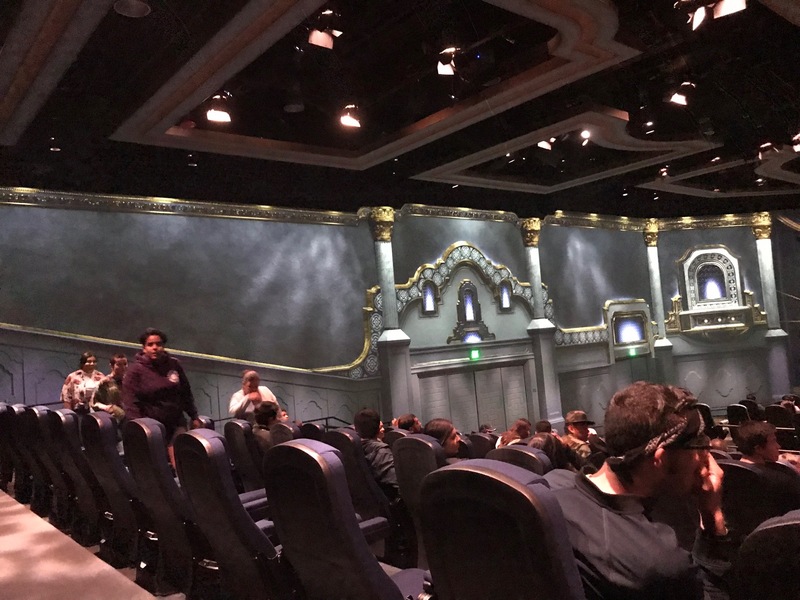 Our reporter says that the attraction utilizes projection mapping for the entire duration of the film, so that when the scenes change, the room changes with it. 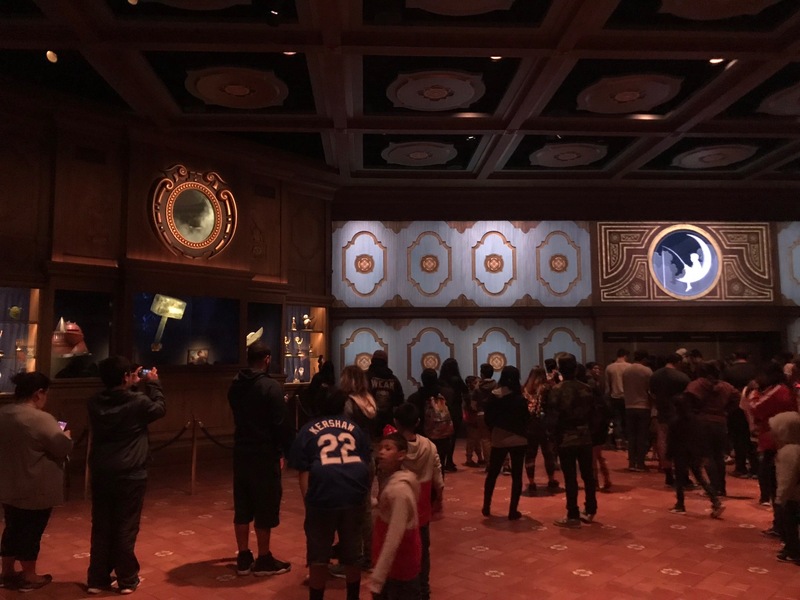 It’s a really clever use of the technology and makes for a much more immersive environment. 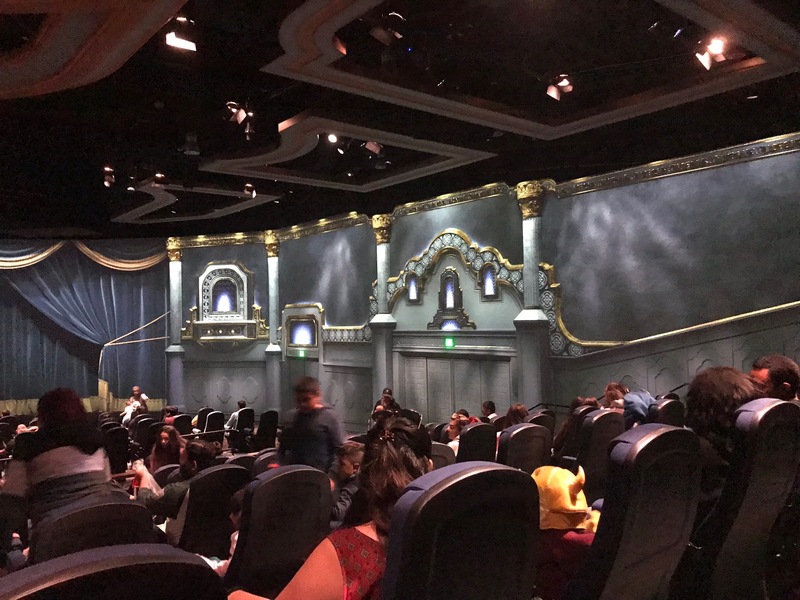 The most interesting thing that we can’t wait to see is whether or not Universal Studios Hollywood will do seasonal changes. The potential is certainly there, and the technology makes changing it easier than creating a new film show. Right now Kung Fu Panda is in technical rehearsals, and things may change between now and opening. 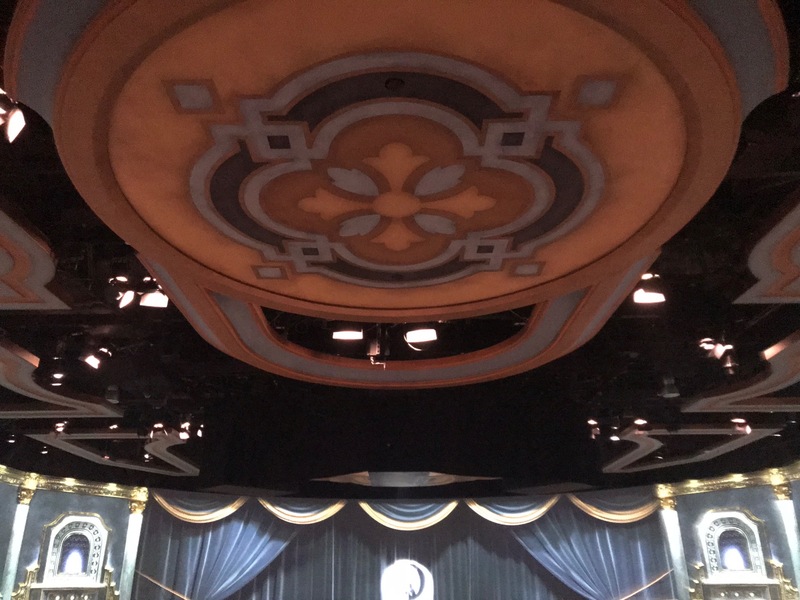 Technical rehearsals also mean that the attraction could go down at anytime, and is not guaranteed to be open. 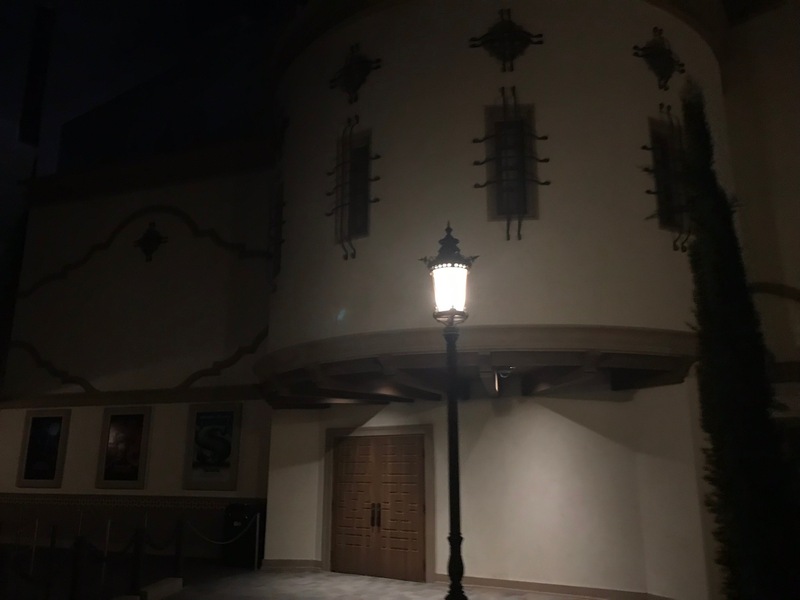 We will have a more in depth look very soon, and will also be taking a better look when the attraction officially opens on June 15th. 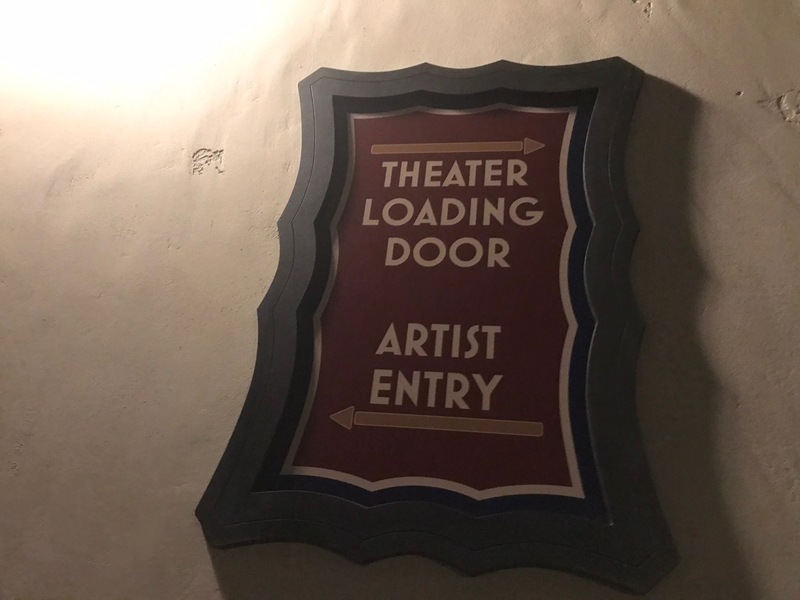 For more information about Universal Studios Hollywood, visit the official website by clicking here! 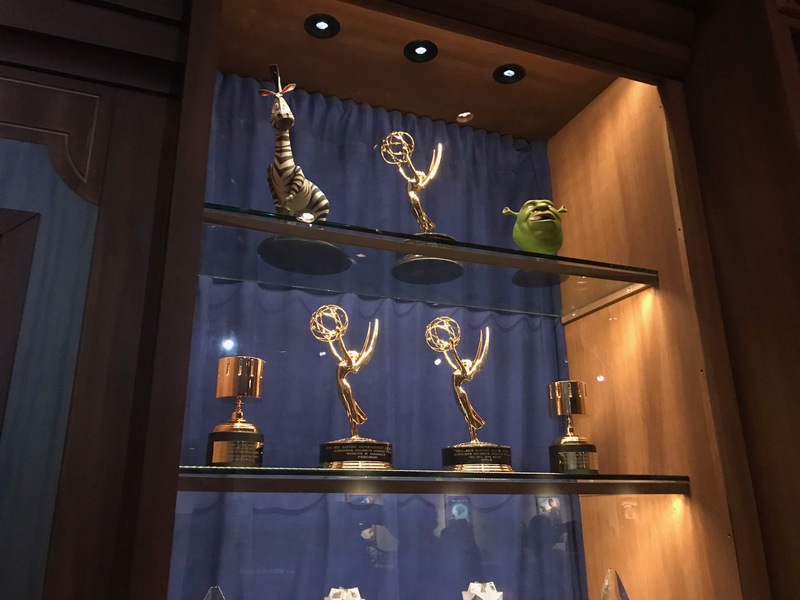 Previous PostBehind the Scenes with Kung Fu Panda at Universal Studios Hollywood Next PostPokemon: Let's Go Pikachu and Eevee coming to Nintendo Switch this November!